It's Harper Lee's 85th birthday today, the author of To Kill A Mockingbird (see July 11th and March 25th). One of my favorite authors of children stories, Chris Van Allsburg, has a new book, Queen of the Falls. He writes and illustrates his stories, and his illustrations are wonderful. At the turn of the nineteenth century, a retired sixty-two-year-old charm school instructor named Annie Edson Taylor, seeking fame and fortune, decided to do something that no one in the world had ever done before—she would go over Niagara Falls in a wooden barrel. 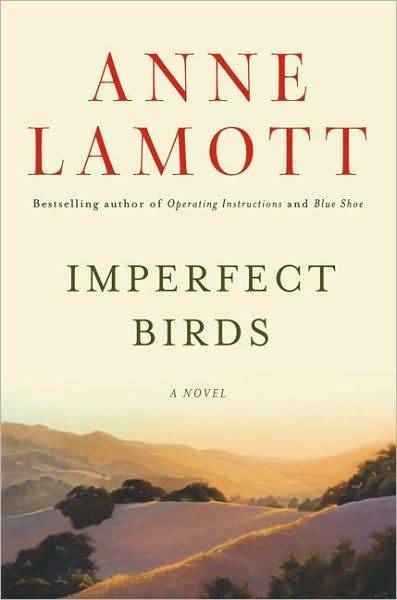 I am seeing several good reviews about Imperfect Birds by Anne Lamott (NPR, NY Times). The 2011 Pulitzer Prizes winners were announced today. 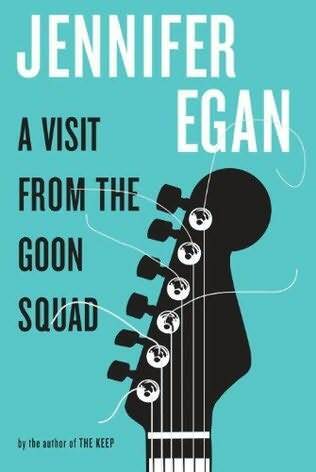 The Fiction winner is A Visit From the Goon Squad by Jennifer Egan (see July 14th). The General Nonfiction winner is The Emperor of All Maladies: A Biography of Cancer by Siddhartha Mukherjee (see November 18th). This book began around the time I turned fifty. Like my friends who had been there before me, I dreaded it for months, and was relieved when it was over and life seemed much the same as before. One of the nicest things that happened was that three friends sent me poems to mark the occasion. One poem was about love, one helped me cope with loss, and the third spoke to ways of being. I kept them and passed them on to others when the time seemed right. To me, that's the gift of poetry — it shapes an endless conversation about the most important things in life. 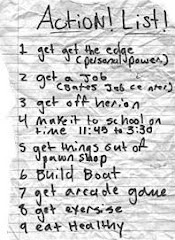 Creating an anthology of poems centered around the stages of a woman's life still seems like an unlikely project to me. I have shied away from the personal genre of literature, and never thought that growing old would be something I would do. Perhaps that's because, in my family, my cousins and I still refer to our parents' generation as "the grown-ups," although most of us are in our fifties. But there seemed to be something profoundly different about hitting the middle-age mark — a sense of accomplishment, an emotional reckoning, and a feeling of renewed possibility about the future. All that, and a tiny terror of sliding down the hill into a crumpled heap of old age. Working on this book reminded me that the personal is universal, being a woman is a profound part of who I am, and sharing experiences and emotions is the best way we can help ourselves and others. Approaching middle age made me appreciate my deep connection to the women I have grown up with, worked with, and whose children have grown up with mine. We have learned what is important, we can look back as well as forward, and we have the chance to weave the choices we have already made into the changes we want to bring into our lives. Reading poems can help bring clarity and insight to emotions that can be confusing or contradictory. Women have always been at the center of poetry — throughout history we have been its inspiration, and more recently, women are the authors of the most profound poetry of our time. One of the oldest known poets in the world is a woman — Sappho — and her fragments of verse are as emotionally piercing today as the work of many modern writers. The love poetry of medieval troubadours, Renaissance playwrights, and Romantic poets (almost exclusively men) celebrated female beauty and mystery; conquest, heartbreak, and desire. In the twentieth century, women poets gave voice to the pain and joy, relationships and loneliness, the work and the life of women. In today's world, as women struggle to balance work and family, to be good mothers and friends, to care for our children and our parents, poetry can help us accept our limitations, and inspire us to overcome them. In a world where language is too often used to manipulate, poems can help us find our authentic voice. The book is divided into sections that seem broad enough to encompass the milestones in a woman's life — "Falling in Love," "Breaking Up," "Marriage," "Motherhood," "Death and Grief" — but they are intended as helpful, if arbitrary, dividers. Other sections are about some of the things that make us happy, like "Friendship" or "Beauty." My favorite section is the one titled "How to Live." It includes the poems that started this book, and many others, each containing wisdom that has helped me on my own journey. Collecting these poems reminded me that when I was younger, I thought my task was to forge ahead and succeed as an individual. But growing older has helped me realize that our success lies in our relationships — with the family we are born into, the friends we make, the people we fall in love with, and the children we have. Sometimes we struggle, sometimes we adapt, and at other times we set a course for others to follow. We are all leaders and followers in our lives. We are constantly learning from and teaching one another. We learn, too, that the most important work is not done by those who seem the most important, but by those who care the most. Women have always been the weavers of the world, literally and figuratively. We weave people together, we weave the experiences of life into patterns, and we weave our stories into words. Poetry has been one of the ways we do this. Poems distill our deepest emotions into a very few words — words that we can remember, carry with us, and share with others as we talk and weave the cloth of life. Excerpted from She Walks In Beauty by Caroline Kennedy. Copyright 2011, Caroline Kennedy. Published by Hyperion. All Rights Reserved. This looks like an interesting book—Fire Season - Field Notes from a Wilderness Lookout by Philip Connors. A decade ago Philip Connors left work as an editor at the Wall Street Journal and talked his way into a job far from the streets of lower Manhattan: working as one of the last fire lookouts in America. Spending nearly half the year in a 7' x 7' tower, 10,000 feet above sea level in remote New Mexico, his tasks were simple: keep watch over one of the most fire-prone forests in the country and sound the alarm at the first sign of smoke. Fire Season is Connors's remarkable reflection on work, our place in the wild, and the charms of solitude. The landscape over which he keeps watch is rugged and roadless—it was the first region in the world to be officially placed off limits to industrial machines—and it typically gets hit by lightning more than 30,000 times per year. Connors recounts his days and nights in this forbidding land, untethered from the comforts of modern life: the eerie pleasure of being alone in his glass-walled perch with only his dog Alice for company; occasional visits from smokejumpers and long-distance hikers; the strange dance of communion and wariness with bears, elk, and other wild creatures; trips to visit the hidden graves of buffalo soldiers slain during the Apache wars of the nineteenth century; and always the majesty and might of lightning storms and untamed fire. Written with narrative verve and startling beauty, and filled with reflections on his literary forebears who also served as lookouts—among them Edward Abbey, Jack Kerouac, Norman Maclean, and Gary Snyder—Fire Season is a book to stand the test of time. This looks good and is getting lots of coverage—The Peace Keeper by Sarah Addison Allen. Willa Jackson may have moved back home to Walls of Water, North Carolina, but that doesn’t mean she wants to be there. She handily isolates herself running a shop along the touristy strip of town that specializes in organic sportswear. In her neatly arranged (and boring) life, Willa hardly has to see any of the girls she went to high school with, including most especially Paxton Osgood, a rich do-gooder whose uppity fakeness and manicured nails set Willa’s teeth on edge. Unfortunately for Willa—but fortunately for readers—her past refuses to stay tucked away. The renovation of an old mansion, the Blue Ridge Madam, causes Willa’s and Paxton’s paths to cross at last. In a twist too zany to be believed outside of the genre of Southern fiction, the women’s grandmothers were the dearest of friends and harbor a horrible secret, which has remained hidden beneath the peach tree in the garden: It’s the body of a dead man, and the two old women know how it got there. As the young protagonists unfold the mystery, they are offered a chance at friendship that neither realized they needed. Along the way they become entangled in new romances and create a few secret-worthy stories of their own. I love baseball books and this looks like a great story—Bottom of the 33rd by Dan Barry. On April 18, 1981, a ball game sprang eternal. What began as a modestly attended minor-league game between the Pawtucket Red Sox and the Rochester Red Wings became not only the longest ever played in baseball history, but something else entirely. The first pitch was thrown after dusk on Holy Saturday, and for the next eight hours the night seemed to suspend its participants between their collective pasts and futures, between their collective sorrows and joys—the ballplayers; the umpires; Pawtucket's ejected manager, peering through a hole in the backstop; the sportswriters and broadcasters; a few stalwart fans shivering in the cold. With Bottom of the 33rd, celebrated New York Times journalist Dan Barry has written a lyrical meditation on small-town lives, minor-league dreams, and the elements of time and community that conspired one fateful night to produce a baseball game seemingly without end. Bottom of the 33rd captures the sport's essence: the purity of purpose, the crazy adherence to rules, the commitment of both players and fans. This genre-bending book, a reportorial triumph, portrays the myriad lives held in the night's unrelenting grip. Consider, for instance, the team owner determined to revivify a decrepit stadium, built atop a swampy bog, or the batboy approaching manhood, nervous and earnest, or the umpire with a new family and a new home, or the wives watching or waiting up, listening to a radio broadcast slip into giddy exhaustion. Consider the small city of Pawtucket itself, its ghosts and relics, and the players, two destined for the Hall of Fame (Cal Ripken and Wade Boggs), a few to play only briefly or unforgettably in the big leagues, and the many stuck in minor-league purgatory, duty bound and loyal to the game. An unforgettable portrait of ambition and endurance, Bottom of the 33rd is the rare sports book that changes the way we perceive America's pastime, and America's past. When his daughter, Amy—a gifted doctor, mother, and wife—collapses and dies from an asymptomatic heart condition, Roger Rosenblatt and his wife, Ginny, leave their home on the South Shore of Long Island to move in with their son-in-law, Harris, and their three young grandchildren: six-year-old Jessica, four-year-old Sammy, and one-year-old James, known as Bubbies. Long past the years of diapers, homework, and recitals, Roger and Ginny—Boppo and Mimi to the kids—quickly reaccustom themselves to the world of small children: bedtime stories, talking toys, playdates, nonstop questions, and non-sequential thought. Though reeling from Amy's death they carry on, reconstructing a family, sustaining one another, and guiding three lively, alert, and tender-hearted children through the pains and confusions of grief. As he marvels at the strength of his son-in-law, a surgeon, and the tenacity and skill of his wife, a former kindergarten teacher, Roger attends each day to "the one household duty I have mastered"—preparing the morning toast perfectly to each child's liking. With the wit, heart, precision, and depth of understanding that has characterized his work, Roger Rosenblatt peels back the layers on this most personal of losses to create both a tribute to his late daughter and a testament to familial love. The day Amy died, Harris told Ginny and Roger, "It's impossible." Roger's story tells how a family makes the possible of the impossible. There is a new series by Rick Riordan, The Heros of Olympus, and the first book, The Lost Hero, is in print. It is a continuation of the Percy Jackson stories (see February 11th, February 28th, March 29th, July 20th ) with new characters, but some of the old characters from Camp Half-Blood. Okay, here's another series I've missed in life with a 6th book, the Thursday Next series of stories by Jasper Fforde. Thursday Next is a literary detective from Swindon, England who can move back and forth between the RealWorld and the BookWorld, interacting with any character that's ever been written. She solves various book crimes, sucha as the kidnapping of Jane Eyre. His new book is One of Our Thursdays is Missing.